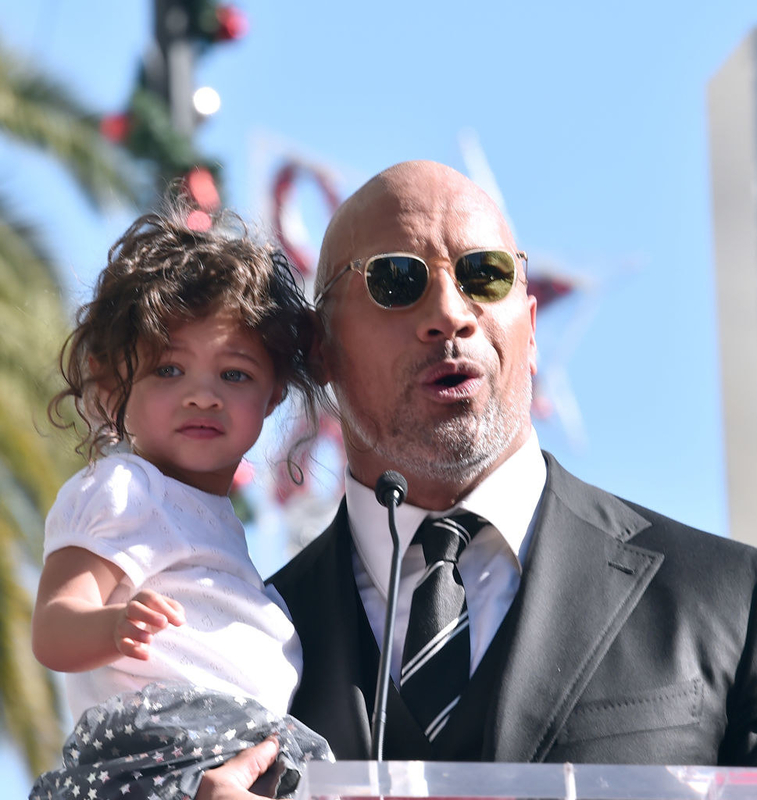 Dwayne "The Rock" Johnson is one of the very best humans. Honestly, he should be called Dwayne "The Gem" Johnson. He's a movie star, he gives us free advice on his Instagram account all the time, and he's the walking epitome of Dad Goals to his two daughters. He and partner Lauren Hashian have one daughter together, Jasmine Lia, and Johnson has a teenage daughter, Simone Alexandra, with ex-wife Dany Garcia. Today, Hashian and Johnson welcomed their second daughter: Tiana Gia Johnson. Dwayne took to Instagram to share the news with the world. "I was raised and surrounded by strong, loving women all my life," he wrote. "Your crazy dad has many responsibilities and wears many hats in this big ol’ world, but being your dad will always be the one I’m most proud to wear." Honestly, the only image I ever want to look at for the rest of my life is giant Dwayne Johnson cradling his small newborn daughter. Her entire body is THE SIZE OF HIS HAND. Welcome to the world, baby Tiana!